I’ve got finishitis. I said recently that I wanted to finish one of my languishing not-done projects before I started another project, but now that I have finished one, I’m on a roll and getting some other things done too. Now, I want to finish ALL the things. Sometimes you just get that spring cleaning thing in your mind… even though it’s the middle of July. Plus, I did start a knit-a-long project and have two more projects to start this Saturday, as you will see, so getting more things done to balance those out is not a bad thing. In my last post, I think I told you I started them in “March-ish”. Well, I was right if you consider January 15 “March-ish”. Love them. I only have a picture of one since one is in the yarn shop as a class sample, so, yet again you will have to trust me that they are both done! 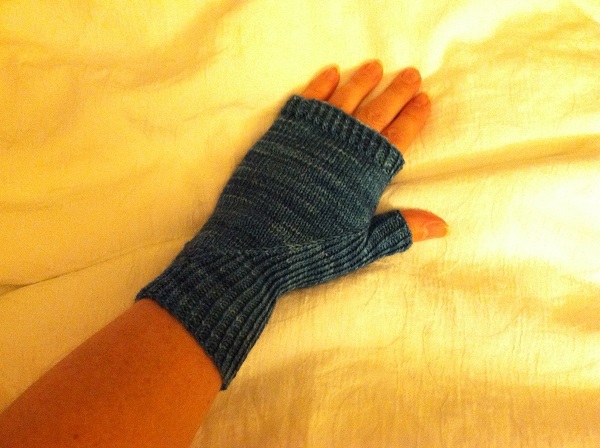 A really fun knit, with some lifted increases to make that diagonal pattern. Fairly quick too – they would make a great gift. There are still spots left in the class I’m teaching for these, which starts next Wednesday so if you are local, call The Spinning Room to sign up! Ok, but now on to the good stuff. The STARTING of things! So far so good. 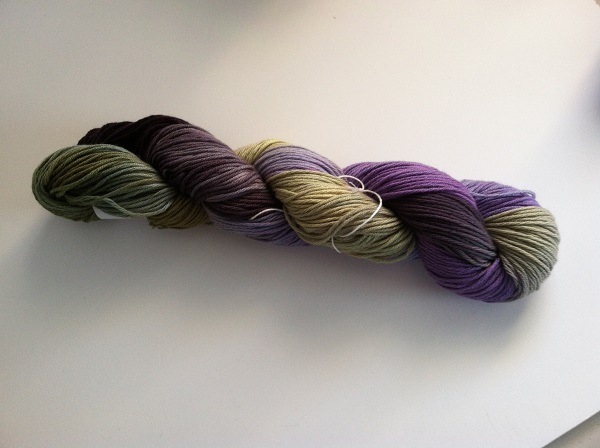 I love the colors in my Periwinkle Sheep Single & Looking yarn. The colorway is called “Summer Garden”. The second of three clues comes out tomorrow. 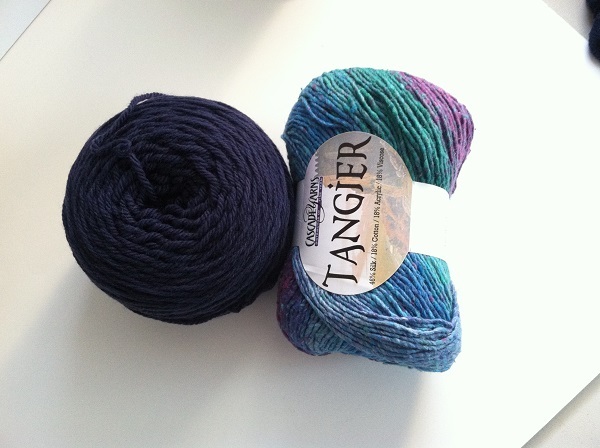 (The navy blue yarn is Cascade 220) I can’t start these until tomorrow. I read that to mean I have to start both of them tomorrow. Even though I have quite some time to finish them, and another knit-a-long to work on which I will need to finish a part of before next Saturday. But really, I’m just too excited, so I will have to. If you are a knitter, you totally understand. 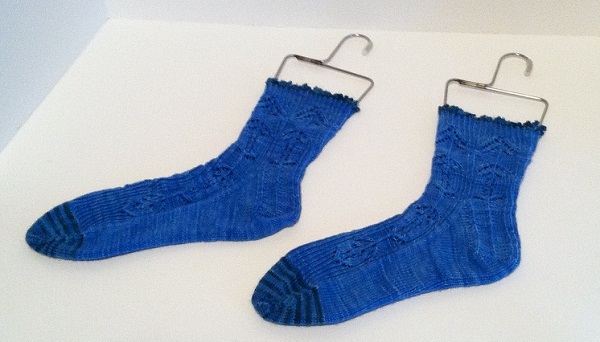 If you are not a knitter, it’s just another example of what a weirdo I am. 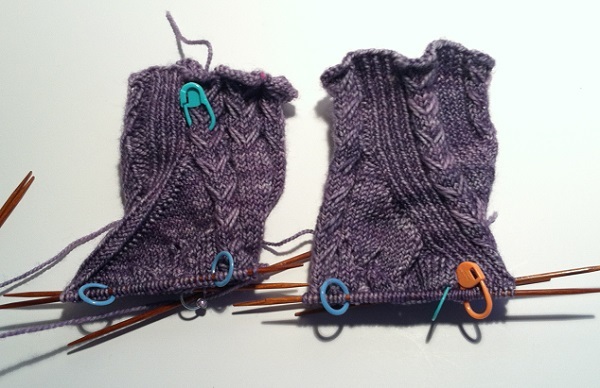 Posted in Uncategorized and tagged hidden gusset mitts, knitter's brewing company mystery sock VI KAL, knitting class, sea glass cowl, the spinning room, through the loops kal 2014, what if...? 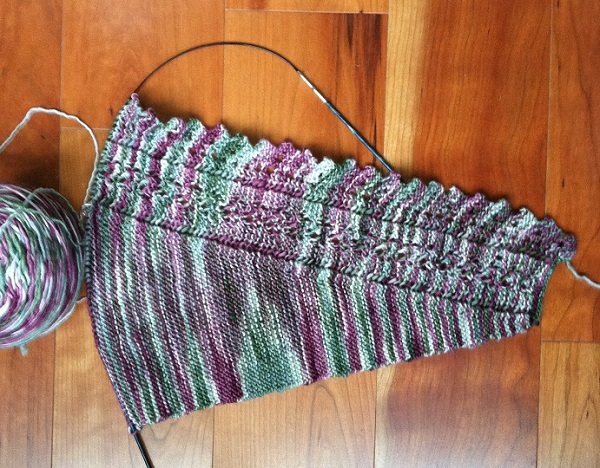 scarf on July 18, 2014 by lizytish. Finishing. Starting. It’s good! Great results!